Literally the most amazing experience I could ask for for my first time skydiving. Every single staff member was beyond courteous, helpful and knowledgeable. They make sure all questions are answered and you feel as comfortable as possible before your jump. HIGHLY recommend getting a video for your first time (it’s only your first time once!). 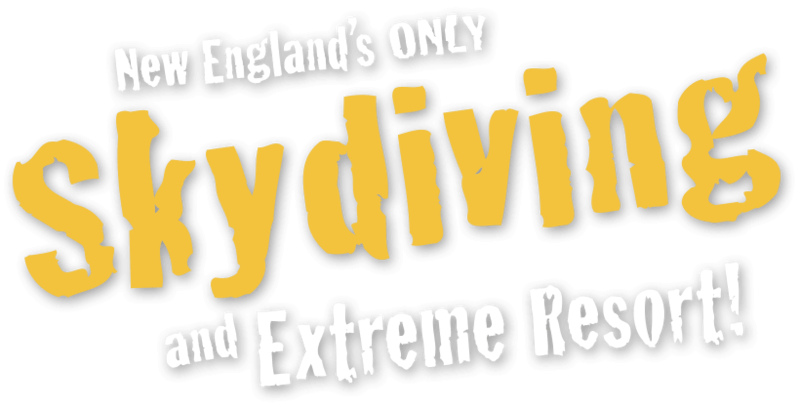 It’s apparent that Skydive New England is experienced, safe and an overall fantastic time!!! DO IT, you won’t regret it!!! First jump on July 3! I am proud to announce that I’m an addict!!! Bun Bun – luv you to the sky and back!! Best day of my life!! I’m still on a high! Can’t wait for my next jump- SNE and all the staff are amazing!!! Absolutely amazing! 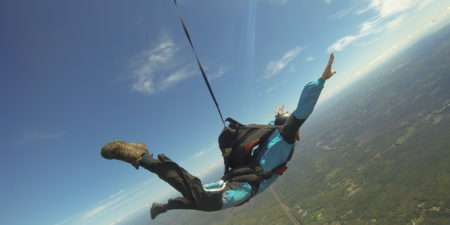 I’m not a risk-taker, so jumping out of a perfectly good plane was a huge step. All of the staff, from checking-in to attending the class to my tandem partner and the videographer… They were all informative, passionate about the sport, and put safety first. 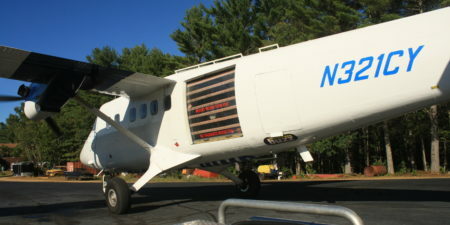 I highly recommend Skydive New England in Maine for any jumpers! 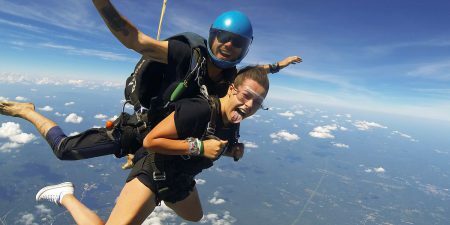 I did my first tandem jump yesterday and it was the best thing I’ve ever done!! My instructor was amazing the videos and pictures turned out great!! Word of advice if your scared do it anyways you won’t regret it!!! This was a first for my fiancé and I, from the time we got there to the time we left we felt so welcomed and comfortable. They went through eveything with us and made any nerves we had disappear. They have an amazing crew! 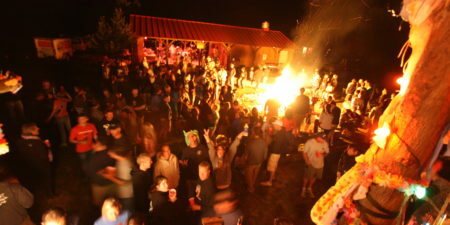 I can’t wait to do it again!! Yesterday was jump number 4, all of them done here. The staff here are amazing, they are super passionate about what they do and the energy they put out is awesome! I thought a jump in October was getting ‘late’ in the season, but the views yesterday were absolutely incredible and it wasn’t as cold as I thought it would be. The early morning fog near the white mountains set up quite a scene…and the popping reds and yellows of the foliage…well, it was just amazing. Ollie was great (again), and I can’t wait to come back next season! Words can’t explain the experience. Everyone should do this at least once in their life. I can’t wait to jump again. I never once felt uncomfortable. Thank you guys!!! 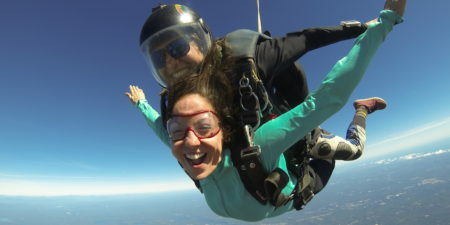 Skydive New England will make you feel at ease while jumping out of a plane at 14,000 ft. Thank you guys!! I will see you next spring without a doubt. If I could give you 10 stars I would! You made my Dad, Dan Mulherin’s wish for one more sky jump come true. 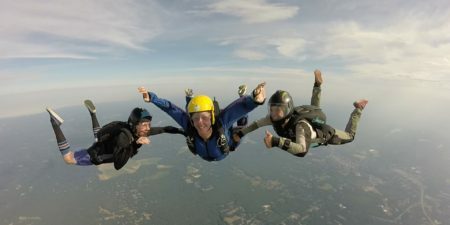 Our father proudly served his country as a Green Beret in the Special Forces and just wanted to feel that weightless, quiet tranquil feeling you can only get jumping from a plane. At age 81 he was not sure he could do it again, but your staff worked to make that happen and made that dream come true. Everyone was friendly and accommodating a special thank you to Scott for being Dad’s diving buddy. 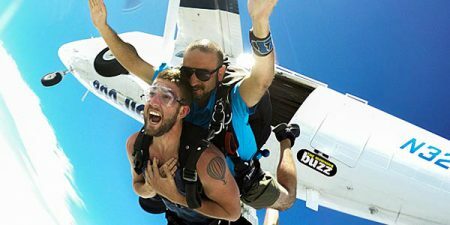 He can’t stop talking about how great you were and he is actually talking about his second tandem jump already. 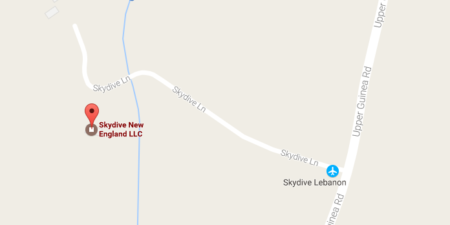 We made it a big family event and would definitely recommend Skydive New England to anyone. Great place, great time and great staff! 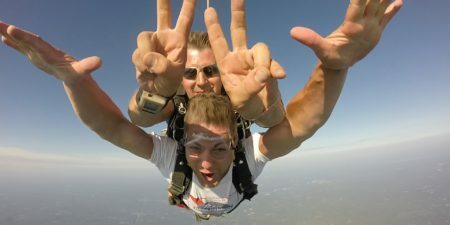 Did my first skydive yesterday and all I can say is AMAZING! I left with a permanent smile on my face for the remainder of my day. The staff is awesome and really welcoming. They make you feel very comfortable and make sure you understand what you have to do during flight. Thank you Brett for a great experience! 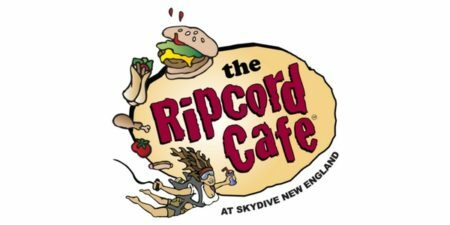 You are seriously awesome as well as the rest of the crew at Skydive New England! I also opted in to get the video package – and let me say it is well worth it! The video was fun to watch with Dustin’s filming skills!! Now working towards getting certified and being able to do solo jumps! Definitely the best thing I have done and would have gotten right back in the plane after touchdown in the Dropzone 🙂 Thank you again! I will definitely be back! 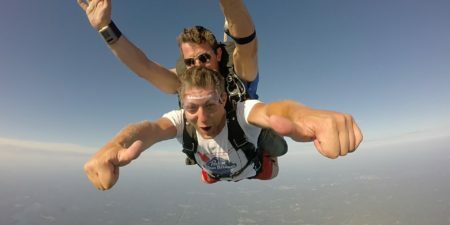 Came last weekend for my first, of hopefully many, skydive adventures! I was quite nervous leading up to the jump and even questioning my decision to do so at all! EVERYONE at SNE made me feel so comfortable. From the people checking us in to the photographer and finally my amazing instructor Scott. They made me feel welcome, relaxed and most of all so safe!! It was by far the most amazing experience I have ever had! I can’t wait to come back!! Yesterday myself and 3 others jumped for the first time! It was everything I could have imagined and more! The staff was great super helpful and made the experience what it was. The peak season for foliage made for a beautiful sight, Can’t wait to come back again! A big thank you to my instructor Rodrigo who helped me through the nerves and put my mind at easy so I could I enjoy it! I’ve been jumping here since 2003 and don’t have enough positive adjectives to describe this place. It’s a little slice of heaven! They’re dedicated to safety and determined to show you a good time. I love it and love all the staff that makes this place what it is!